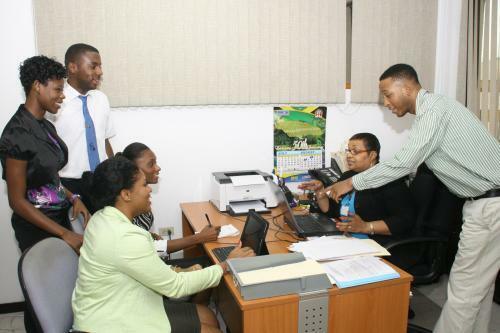 More than 100 students from local secondary and tertiary institutions are gaining valuable workplace experience during their holidays under the Petroleum Corporation of Jamaica’s (PCJ) Summer Employment Programme. 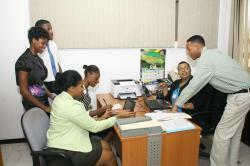 The programme, which enters its second phase this week, targets youngsters between the ages of 16 and 25. In addition to receiving job experience the students also learn the benefits of professionalism, acceptable workplace behaviours and are exposed to the concept of work ethic. The initiative, which has been undertaken by the PCJ for more than 12 years, forms part of the Corporation’s Corporate Social Responsibility programme. Students are not only assigned to the PCJ but are also placed at Non-Government Organisations such as the Jamaica Cancer Society, the Diabetes Association and the Heart Foundation of Jamaica. “Our Summer Employment Programme goes beyond simply providing young persons with work experience and aims to help participants gain an appreciation of the important connection between work and learning, which is critical to long term success in the current labour market,” said Marcia Sibbles, the PCJ’s Human Resource Manager. “For many students this is their first step into the labour force and so we want to give them a solid foundation which will serve them well in their future careers,” she added. Executed in two phases, the Summer Employment Programme kicked off on June 4 and the first cohort of students worked until July 20. The second phase will run from July 23 to August 31. Participants will be exposed to various disciplines including marketing, accounting, communications, management, human resources and legal practices.